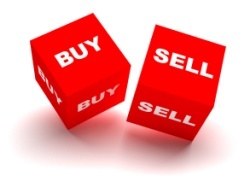 “Catch 22 – Should I Sell First or Buy?” Paul Ainsworth Lord explains. Of course, the problem would become a self-fulfilling prophecy if everyone were to take this stance, and the entire market would grind to a halt. But in reality it isn’t that bad and, whilst we don’t have a magic wand, the closest thing we have to a miracle cure is to encourage sellers to have a little faith. Because as soon as you find a buyer, amazing things can happen! First, the fact that you have a buyer in place positions you as a “red hot buyer” with estate agents. This means you will be offered new properties as soon as they come onto the market, often ahead of public marketing or portal exposure. Secondly, you are in a much stronger negotiating position when you do find a property you like, meaning that you are preferred to other buyers who may be in a weaker position. Thirdly, you may well find that once you are psychologically committed to your sale, you’ll have a clearer focus on which property will actually suit you best. It’s easy to “umm and ah” when there’s no pressure! So, in essence, if you need help making a decision, find a buyer for your place first! And of course, we’d be happy to help on that front as well! Indeed, we pride ourselves on our ability to create and manage linked transactions. Why not call us on 01254 760660 or visit Ainsworth Lord Estates to find out how we might be able to help you move. How Would a Hard Brexit Affect Darwen House Prices?